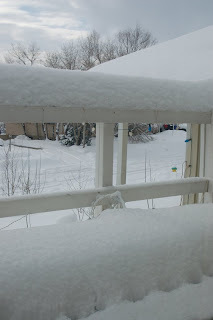 It just keeps coming down, almost 23 inches of snow this week. I live on the mountainside, but still. I have spent a lot of time shoveling snow. Meanwhile, Janice is in Florida basking in the 80 degree weather. I never minded the snow, in fact I really wanted it when I was vacationing for a week out here. Thought I would take a couple more pictures to show you. 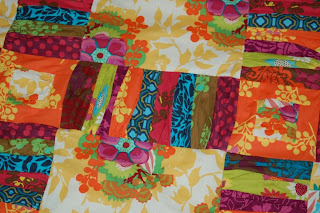 then some gathering, blocks and so on. It is about half way done and I really like the way it is shaping up. It should be finished in a day or two. Can't Wait! 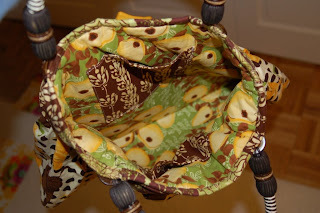 Meanwhile Janice has been busy making a couple of Abbey Bags. 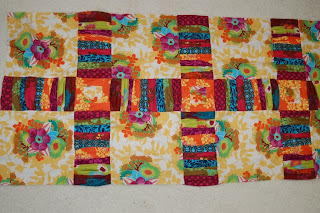 One of our Favorites "Buggy Barn Quilts" has declared 2009 the Year of the Pin Cushion. 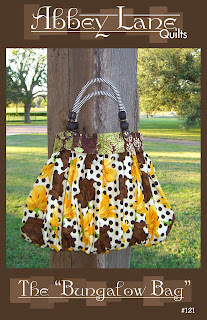 They asked us for a sample of the Abbey Bag (pin cushion and scrap bag) to put in their store. We are so excited. We love all their patterns. Hey ya'll. We are back. We have had a very busy holiday season. Let's start at Thanksgiving. Marcea eloped. Yes, you read that correctly. 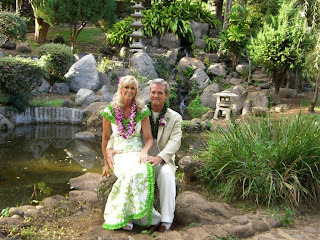 Me and my sweety found a couple of days, hopped a plane to Maui and got married. Most people who know us would say it was about time. We called everyone after the "I Do's" and they were all shocked and excited. I am now, "Mrs. Smith." Next on the busy Holiday Schedule was Marcea'sfirst of a two part move from Houston to Ogden, Utah. With a 26 foot moving truck and a car in tow we made our way from Houston through tons of snow to Utah. 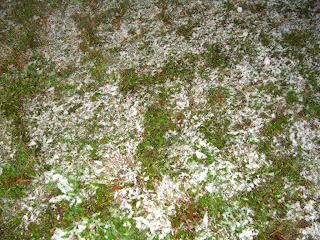 I did get to see snow on the ground in Houston though. I guess it is rare for that to happen in December. 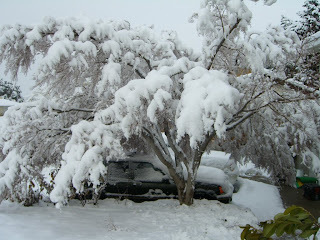 It was nothing, though compared to the snow we get every couple of days in Utah. It is beautiful if you get to sit inside and just look at it, but for this Florida girl it is hard to go out in it. 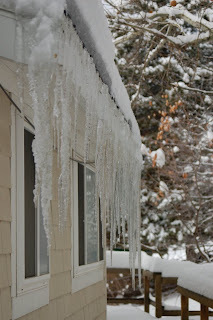 We had 15 inches just yesterday, and to more storms on the way this week. The move was only the beginning, Marcea's oldest son got married on December 26 in Las Vegas. We drove down through the snow. The day after we got back, Janice and her family drove from Florida to Utah for her oldest son's wedding, January 2 in Salt Lake City. What a crazy week that was. We had people sleeping on every couch and even the floor. Janice headed back to Florida and I headed back to Houston for one more moving truck. Things finally got back on schedule the middle of January. That brings us to now. 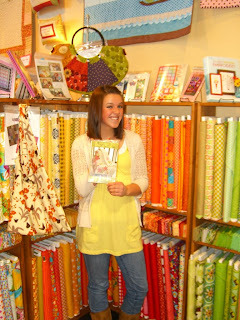 Last week, Marcea went visiting the quilt stores in Utah. 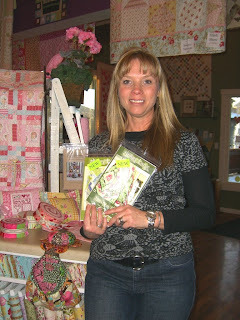 It was so fun to meet up with everyone, and even funner to find our patterns and projects in the stores. 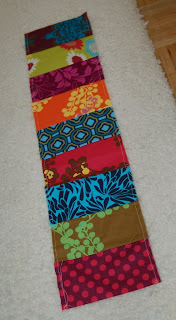 I started in Ogden, at Gardiner's Sew and Quilt. 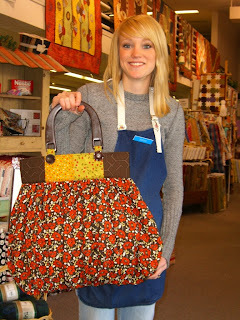 Heidi Miskin poses with the "Bungalow Bag" she made. It is a great store and my new local supplier. We also met some great ladies at Market. They were from "Material Girls" in Salt Lake City. I had never been to the store, so I made a specail trip to say Hi. 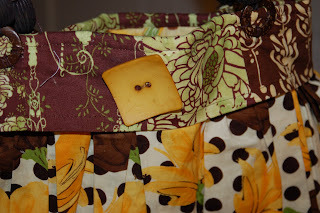 They had a beautiful store, so many pretty things, and yes, some of our patterns. The owner's daughter, Shelby Woodraska was happy to pose for a picture. Her mom is a big blogger, so she has had a lot of practice. My final stop was at one of our very favorite stores. There is a great little shopping area called Gardner's Village in Salt Lake City and tucked in the cute stores in Pine Needles. We were so excited to see our patterns in their store. There was even an Abbey Bag. Janice and I are busy designing new projects. We have six in the works right now. We will be posting sneak peaks in the next couple of weeks. We would also like to thank everyone who has helped us in our business and those who purchased patterns. We would love to see your finished projects. Email us pictures to info@abbeylanequilts.com and we can post them here. Talk to you soon.